Jane Doe is a rock ‘n’ roll bar in Östersund. Situated in Prästgatan, the main street in the town, it has a great location. It lies in a small pink building opposite Systembolaget. This entry was posted in Sweden and tagged bacon, bar, beer, food, Jane Doe, ostersund on May 11, 2015 by Traveltorgeir. I still remember going to Storsjöbadet, an aqua park outside Östersund, Sweden, when I was younger. I remember the anticipation of going there, this almost limitless place of fun water activities. How I would spend the entire day there, trying all the slides, swimming in all the pools, trying the slides again. When I was younger it was one of my favorite places to visit, the problem was that it was a four-hour car ride away, and in another country. It must be twenty years since the last time I was there. This entry was posted in Sweden and tagged childhood, nature, ostersund, spring, storsjöbadet on May 9, 2015 by Traveltorgeir. I have arrived back home after a great weekend in Östersund. A cosy little town in the middle of Sweden, we found some good restaurants and bars, saw most of the sights and met some nice people. We even had time for a swim at Storsjöbadet, the local swimming pool and aqua park. Now it is time to head home, go over my notes and write some longer posts about my trip to Östersund. This entry was posted in Sweden and tagged ostersund, trondheim, weekend on May 4, 2015 by Traveltorgeir. Today we went to Storsjöbadet, an aqua park just outside Östersund. Instead of tking the bus there, we decidd to walk along the lake. 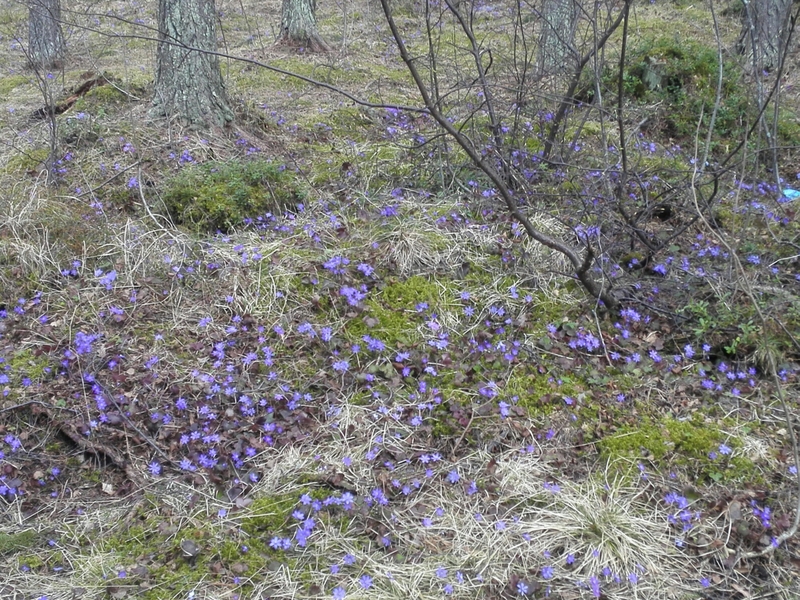 It was a beautiful day, flowers started to appear on the forest floor. I did not mind we got lost and took a five kilometer long detour. Here are some pictures from our walk today. As we walkdthrough th forest, the ground was covered in beautiful flowers. It seems that spring finally has come to Östersund. This entry was posted in Sweden and tagged Countryside, nature, ostersund, spring on May 2, 2015 by Traveltorgeir. We arrived in Östersund today, and after a quick nap in our hotel room we set out to explore the city. We took a walk through the city, walked along the Storsjö lake, then stopped to grab a beer at a local bar. We are going out to eat soon, so I have no time to write, but here are some pictures from pictures from my day so far. This entry was posted in Sweden and tagged bar, beer, ostersund, sightseeing on May 1, 2015 by Traveltorgeir. Turned out, plane tickets the first weekend in May are super-expensive. We have looked everywhere, to every European city, but found no cheap flights and hotels. We were faced with the possibility of staying home for the three-day weekend when my friend had the idea, why not go to Östersund? This entry was posted in Sweden and tagged ostersund, trains, trondheim, weekend on May 1, 2015 by Traveltorgeir.